Proving that even the most classical of traditional Swiss watchmakers can no longer ignore the consumer reach of social media, Patek Philippe finally launched an Instagram account two days before Baselworld 2018 opened its doors. Further proof that the brand of the Calatrava cross has millennials in its crosshairs came in the shape of the sporty, stainless steel Aquanaut Chronograph – complete with statement-making orange accents on its second hand, chronograph hand, and inner and outer railway track counters. Having celebrated its 20th anniversary last year, the Aquanaut is Patek Philippe’s most athletic collection, befitting of its first flyback chronograph addition – presented as a 60-minute counter at six o’clock. Behind a grey dial with applied gold, luminescent-coated numerals, a 42.2mm case houses a self-winding movement visible through a sapphire-crystal case back that is accurate to -3/+2 seconds per day (as required by the Patek Philippe seal). The Aquanaut Chronograph is water resistant to 120m and available with either a classic black composite rubber strap, or a vivid, dial-matching orange rubber strap. Just three months after losing its crown to Piaget, Bulgari has reinstated itself as King of the Ultra-thins. The Octo Finissimo Tourbillon Automatic becomes the world’s slimmest self-winding watch with a case that’s just 3.95mm thick – beating Piaget’s Altiplano Ultimate Automatic by 0.35mm. Incredibly, the tourbillon-regulated movement inside measures just 1.95mm in depth and endows the watch with a 52-hour power reserve. The calibre is housed in a sandblasted, multifaceted titanium case and is visible through an exhibition window in the case-back. 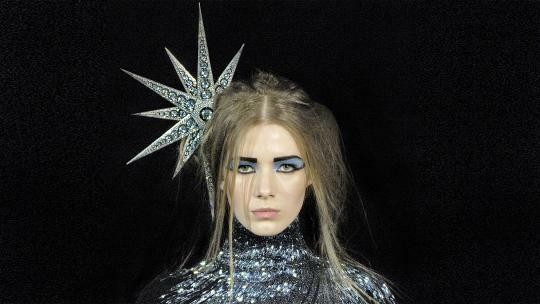 At the start of last year Zenith was a watchmaker facing an identity crisis. Stagnating sales and a lack of clear direction led to the exit of CEO Aldo Magada ‘by mutual agreement’. Three months later, long-serving Vacheron Constantin managing director Julien Tornare had been appointed as Magada’s successor. Clearly an advocate of cross-industry collaborations, Tornare has since signed an agreement with British watch-modifier George Bamford, partnered with prestigious cigar manufacturer Cohiba, and announced American hip-hop producer Swizz Beatz as an ambassador. The latter of those lifestyle tie-ins has yielded three special editions of Zenith’s Defy timepiece, the highlight being this 1/100th of a second chronograph. In case its orange strap is a little too quiet for your taste, it also comes pebble-dashed with diamonds. 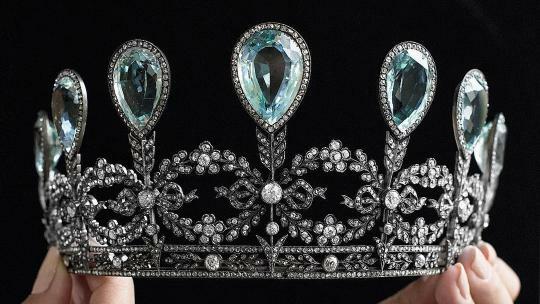 After diamond, sapphire is the hardest material around and, thus, one of the most difficult to mill. Breaking through a glass ceiling then – sorry, terrible pun – Hublot has managed to machine not just a watch case but a bezel, bridges and a case-back out of the ultra-resistant material. Even the tourbillon within the Big Bang Sapphire Tourbillon is held in place by a strip of the synthetic gemstone. Only 99 of the 45mm models are being manufactured. Sticking steadfast to its signature, square-faced, cockpit-clock-for-your-wrist designs, Bell & Ross’s rapid rise through the horologic ranks has been nothing short of meteoric. 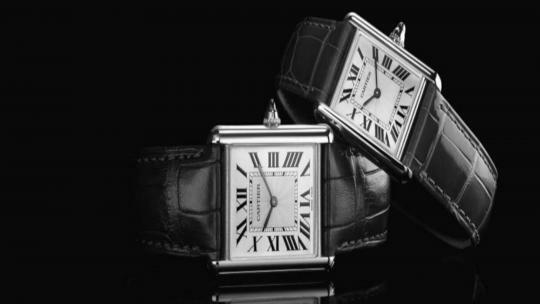 The company only became an independent watchmaker in 2002. To celebrate its third year of partnership with Renault Sport Formula One Team, the brand has realised the R.S.18, an automatic, water-resistant skeletonised chronograph with a tachymeter scale and yellow rubber inserts. 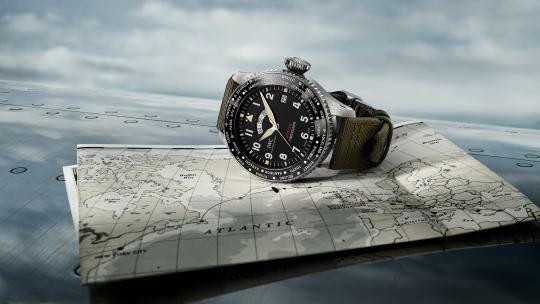 A 45mm quadrangle case means that big wrists are a prerequisite. In 1968, one year before Buzz Aldrin’s Omega Speedmaster became the first watch on the moon – Neil Armstrong had left his model inside the Lunar Module – the crew of Apollo 8 became the first humans to leave the Earth’s mesosphere and orbit the moon. To mark the mission’s 50th anniversary, Omega presents the skeletonised Dark Side of the Moon Apollo 8. Produced in black ceramic, minuscule craters have been lasered into the model’s movement to mimic a pockmarked lunar landscape. Around a transparent case-back, the words ‘We’ll see you on the other side’ have been inscribed – a reference to Jim Lovell’s final words to ground control before Apollo 8’s takeoff. 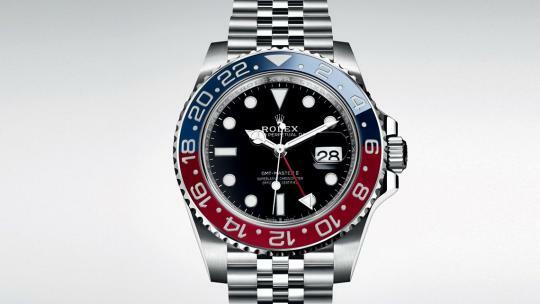 In 2014, Rolex created the world’s first two-tone ceramic bezel – one half red for daylight hours, one half blue for night-time – and placed it on its GMT-Master II, mirroring the ‘Pepsi’ bezel of the original GMT Master from the 1950s. Anyone wanting access to this piece of Rolex history, however, would have to pay for it. The company chose to reintroduce the colourway on a timepiece made of white gold, and proceeded to slap a £28,150 price tag on it. So it will come as welcome news to Rolex fans that the company has now made a version in steel, with a far more accessible asking price of £6,800. It features Rolex’s brand new calibre 3285 movement – incorporating a nickel-phosphorus, Rolex-patented escapement – and the same ceramic two-tone bezel from 2014. In the flesh, the ‘red’ of the new GMT-Master II is more mauve than previous Pepsi models, where bezels were made of steel – perhaps that’s owing to the fact that ceramic is such a difficult material to produce in lighter colours. Rolex, when questioned, insisted that it had created exactly the colour it was aiming for. Sister brand Tudor is far more accurate when it describes the colours on the steel bezel of its own new Black Bay GMT as blue and burgundy (not red). The 41mm model is equipped with a brand new in-house movement. Additional time zones are indicated by a red snowflake hand, Tudor’s hallmark, which spins around the dial every 24 hours. PADI partner Seiko used Baselworld to announce ocean explorer and marine conservationist Fabien Cousteau (grandson of Jacques Cousteau) as its new ambassador. The Japanese brand – inventor of the first hi-beat diver’s watch and first quartz saturation diver’s timepiece – also presented six new Prospex watches. The part of the bezel representing 0-15 minutes on the reference SRPB99J1 is coloured red, allowing divers to time their decompression stops as they make their way back to the surface – preventing decompression sickness, or as diver’s call it, the ‘bends’. 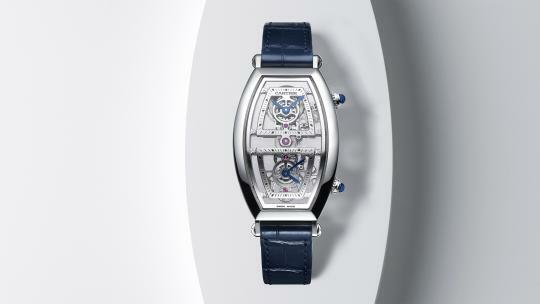 Elsewhere, TAG Heuer has added a GMT function to its in-house Heuer 02 self-winding chronograph movement. A second time zone can be adjusted via the crown and is readable using a lacquered red hand and a black-and-blue ceramic bezel, which has a 24-hour GMT scale. The new 45mm steel model adopts the design codes of the original Heuer Carrera from 1963, with its chronograph minutes and hours set at three and nine o’clock, and a permanent small second at six o’clock. The brand new, multileveled, Bauhaus-informed Autobahn from the (typically) minimalist NOMOS Glashütte was created in collaboration with German product designer Werner Aisslinger. It is powered by a proprietary escapement and features a three-lane date window at six o’clock and glow-in-the-dark dial. The 41mm timepiece is available in three versions: one with a white silver-plated dial (pictured), a sporty grey version, and a model in deep midnight blue. Funny how you can never imagine an English watchmaker naming a creation after the motorway, such is the German pride for its fêted highways. OK, so it’s not a record breaker. At 3mm thick, the automatic tourbillon movement inside Breguet’s Classique Tourbillon Extra-Plat Automatique is a full 1.05mm fatter than the escapement that powers Bulgari’s Octo Finissimo Tourbillon Automatic – the slimmest automatic tourbillon in watchmaking. Yet if prizes were handed out for elegance, then Breguet’s latest ultra-thin would surely be triumphant. An extremely understated enamel dial directs attention to an exposed tourbillon at five o’clock. Inside, a ‘high-energy’ barrel, patented to increase the number of coils of its silicon balance spring, provides an 80-hour power reserve. A hand-engraved platinum oscillating weight rotates on the periphery of the calibre, providing an unobstructed view of the tourbillon. The 7.45mm-deep dress watch is offered in rose gold and platinum. The first tourbillon within Corum’s playful Bubble collection is noteworthy for two reasons. Firstly, the tourbillon is positioned at the centre of the watch, a technical feat requiring an inline movement construction. Secondly, rather than conventional hands, time is displayed by two triangular markers at the edge of the dial: one in black that indicates the minutes; one in blue indicating the hours. Seconds are displayed by the tourbillon itself, which performs one rotation every minute. It’s an extremely solid piece of kit and completely captivating on the wrist. The source of some of Germany’s most handsome dress watches, Glashütte Original launched a stainless steel version of a world timer that debuted in 2015. Simultaneously indicating the time in two time zones, the Minimalist World Traveller takes into account daylight saving and standard times in 36 zones, colour-coded to indicate their deviation from GMT (including half and three-quarter hour differences). The lacquered silver-grained dial on this latest glossy version is circled by a black railroad chapter ring and sub-dials, and blue hands and numerals. An innovative off-centre oscillating rotor makes for a longer-than-average 72-hour power reserve.